We rely on your support so we can be constantly ready to respond to animal needs. With your generous support, we can continue to protect pets of all types including dogs, cats, horses, and more. Together we can change the lives of the abused, battered, ill, homeless, hungry, and less fortunate pets. Click here for convenient print-out donation form. battered, homeless, hungry, ill and less fortunate pets. Donate Cash Now So That We Can Help A Pet Tomorrow! RV, trailer or airplane from anywhere in the USA! Stop Paying Taxes On It, Turn It Into A Tax Deduction! 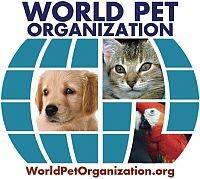 Copyright Notice 2008, 2012 World Pet Organization Inc.